I caught up with Wikipedia founder Jimmy Wales at the Financial Times’ digital media conference to find out more about his views on how journalists should – or shouldn’t – be using Wikipedia. He said while “generally speaking we always recommend journalists shouldn’t necessarily cite Wikipedia”, he advised reporters to use it as a “starting point” and then search out community discussions and what they “want to know”. He added that he is pleased with the “stamp of approval” when news outlets link to Wikipedia. Listen to the audio below in which he also explains the licences used by Wikipedia, such as for the use of images. This entry was posted in Journalism, Online Journalism and tagged #ftmedia12, digital media conference, Jimmy Wales, The Financial Times, Wikipedia on March 7, 2012 by Rachel Bartlett. Giving the opening presentation at the Financial Times’ digital media conference in London today, the founder of Wikipedia Jimmy Wales discussed the power of the free access it offers for content on the site. He said by following the idea of free access from the beginning, the site, which currently reports around 65 million monthly visitors, saw “a huge amount of traffic”. He outlined what Wikipedia sees as the most important part of what it does. We aren’t just talking about cost. We’re talking about free as in speech, not free as in beer … It’s more fundamental than cost. He added that the power of this “technique” of content dissemination for “growing online presences” is “still not fully understood”. 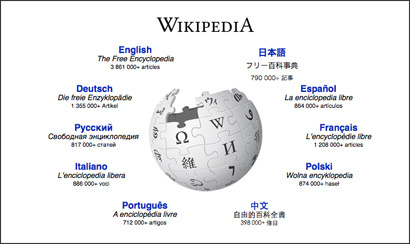 Wales said when Wikipedia started the mindset for many was “that in order to have successful content, you need unique content no one else had”, and then to erect a paywall or “vigorously pursue people copying content”. He took the opposite route, with the only requirement being that users of the content have to follow the licence terms, usually meaning attribution to the source. Lots of people made clone sites, or they would take an article and put in on a blog. It drove over time a huge amount of traffic. He added that today this continues to be a “big factor” in the volume of links to Wikipedia and its ranking in search results. When it comes to finding a business model for online content in general, he added that micropayments could be the way forward, in particular for newspapers online. One of the things I’m very excited about is the rise of the app store, the app model. For the first time we have a very convenient method to pay relatively small amounts of money. He added that payment for online content had “always been a barrier” in the past. He said the ability to make an “impulse purchase” is “really important and going to have major impact when we think about content”. He added that we are now “in an era when the general public has a voice in a way they never had before”. But he said there is also a “heavy” responsibility on Wikipedia and its community to “think about quality of Wikipedia”. This entry was posted in Online Journalism, Paid-for content, Search and tagged #ftmedia12, free access, Jimmy Wales, licence, micropayments, open, Wikipedia on March 7, 2012 by Rachel Bartlett. In an interview with Bloomberg Television, Jimmy Wales, co-founder of Wikipedia and also internet media company Wikia, reveals that he has recently bought a new stocks site, which he hopes whistleblowers will contribute to. Value Wiki is now part of Wikia, his consumer publishing company (Wikipedia is part of the non-profit Wikimedia Foundation). [I] just bought a site called Value Wiki which is about stocks and we’re hoping people will come forward, maybe whistle blowers, whoever, will come forward with some information about companies. The same thing can happen to politicians. We’re trying to look at different software tools that allow the community to monitor what’s going on. There’s always a core of good people managing Wiki who really want it to be high quality. The main thing is making sure that they have what they need. [Hiring editors] doesn’t even seem like the right approach to us. When we really dig in deep and we look at where there are problems, and what the problems are, they’re never about not having enough core people who are really passionate about it but about making sure the software tools are available to them. This entry was posted in Editors' pick, Online Journalism, Social media and blogging and tagged Jimmy Wales, Technology/Internet, wiki, Wikia, Wikipedia, World Wide Web on March 12, 2010 by Judith Townend. SocialMedia.biz has a radio show featuring Jimmy Wales from Wikipedia, talking about growing and nurturing online communities. Despite the recent £2 million donation from Google, most money comes from small donations, he says. It was a wide-ranging con­ver­sa­tion about the democ­ra­ti­za­tion of media, the birth of Our­me­dia and YouTube, the thriv­ing global open source devel­op­ment com­mu­nity of Word­Press, Cre­ative Com­mons licenses, Ning, entre­pre­neur­ial jour­nal­ism, Sil­i­con Valley’s mantra of embrac­ing fail­ure, and the state of Wikipedia. This entry was posted in Citizen journalism, Editors' pick, Handy tools and technology and tagged Jimmy Wales, wikimedia foundation, Wikipedia on February 19, 2010 by Judith Townend. 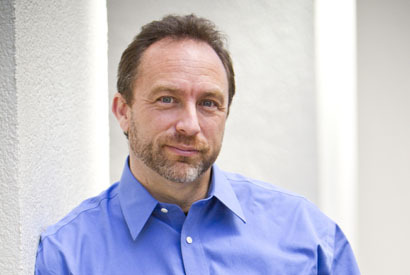 Wikipedia’s founder Jimmy Wales has announced the end of his ‘user-generated search engine’ project, Wikia Search. This entry was posted in Editors' pick, Search and tagged Jimmy Wales, search engine, Wikia, Wikipedia on April 2, 2009 by Laura Oliver.